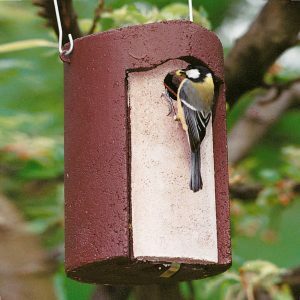 Our nature conservation programme contains various models for Birds that nest in cavities or recesses. 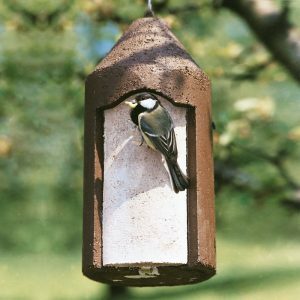 They are particularly suitable for species that prefer an open, balcony-type entrance area, e.g. Redstarts and Robins. The wide, open access to the clutch and the nestlings that is a feature of this type of box means that such species are often under threat from predators. 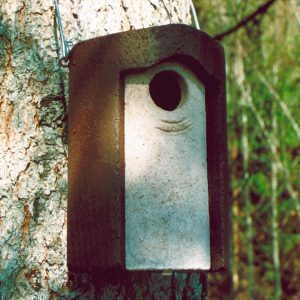 The predator-proof, open-ended box 2HW helps to prevent such attacks and unprotected installation on trees can then be recommended. 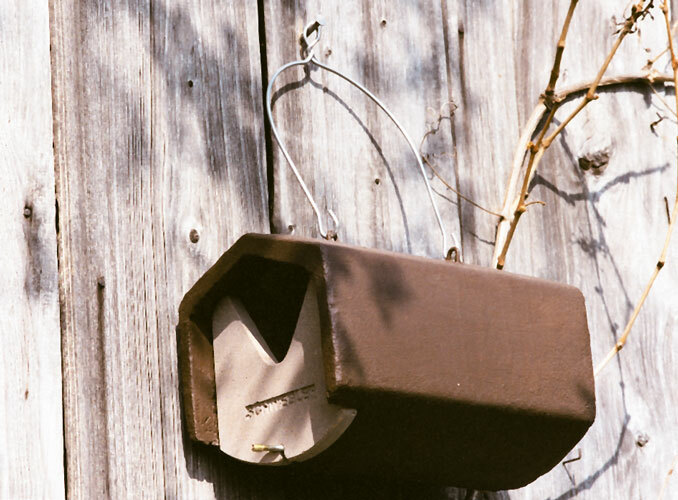 This particularly deep box can be hung up on an open site or against outside walls. 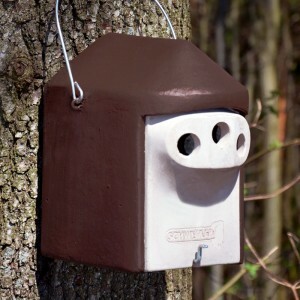 A wooden insert, which can be removed for inspection and cleaning purposes, gives protection against predators because nesting takes place at the far end of the box. The design of the 2HW also ensures quick occupation when hung in relatively dark places due to the wide entrance. It can also be used to attract Dippers and Grey Wagtails provided that the wooden insert is removed. The ideal location for Dippers and Grey Wagtails is near to natural running water and under bridges. 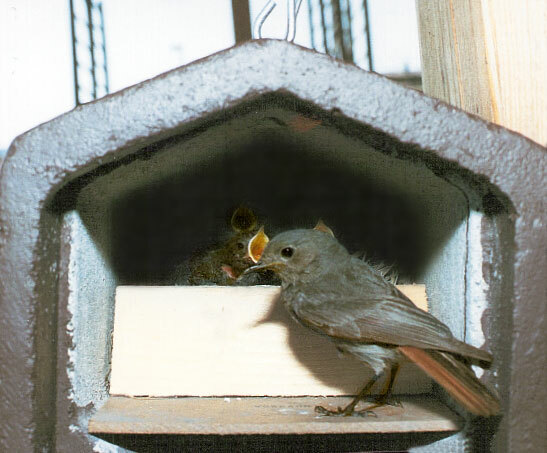 Occupants: Black Redstart, Pied Wagtail, Grey Spotted Flycatcher, occasionally Robin and Wren. External dimensions: W 20 x H 20 x D 30 cm. Nesting chamber: 15 x 21 cm. 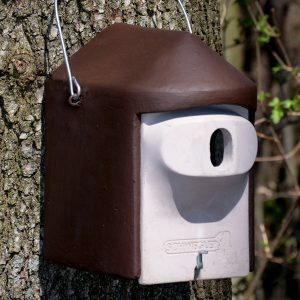 Includes: Nest box, brood chamber, hanger and aluminium nail. Hanger, front panel, nesting chamber and aluminum nail are supplied but can also be ordered as spare parts (see products/accessories).